I just got back from two amazing days with some of my closest friends. They are the type of friends that will say absolutely anything, whether it be inappropriate, heavy, or completely ridiculous, it will be said. We have way too much fun together and I am so thankful that my friend Liz has included all of us in her wedding. 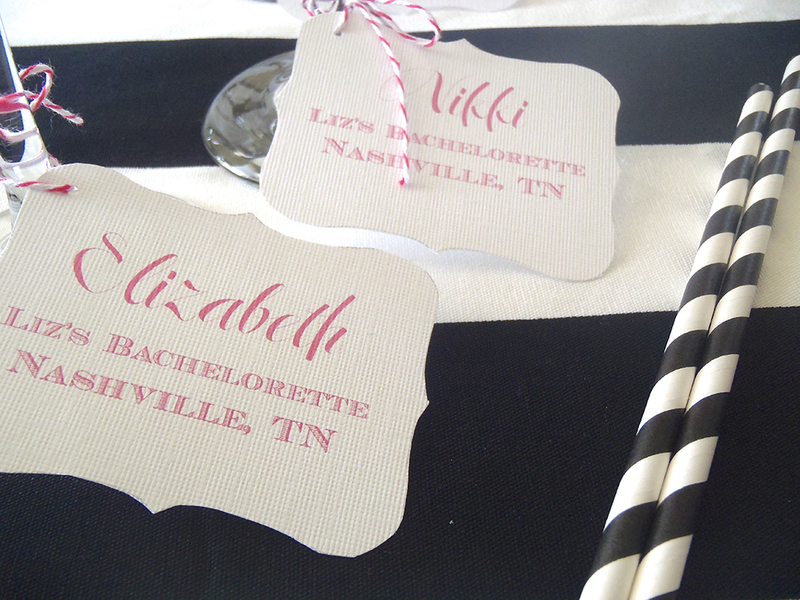 The bachelorette party was in Nashville, TN! It was my first time there and I loved every bit of it! Except the weather, it was rainy and cold. But all nine of us were coming from out of town so the MOH had done a lot of extra planning to make sure we could still make Liz's lingerie shower feel special with small details! Some of the girls flew in, and a few of us drove up from different parts of Alabama. Our car was completely packed with luggage, gifts, party decor and champagne. 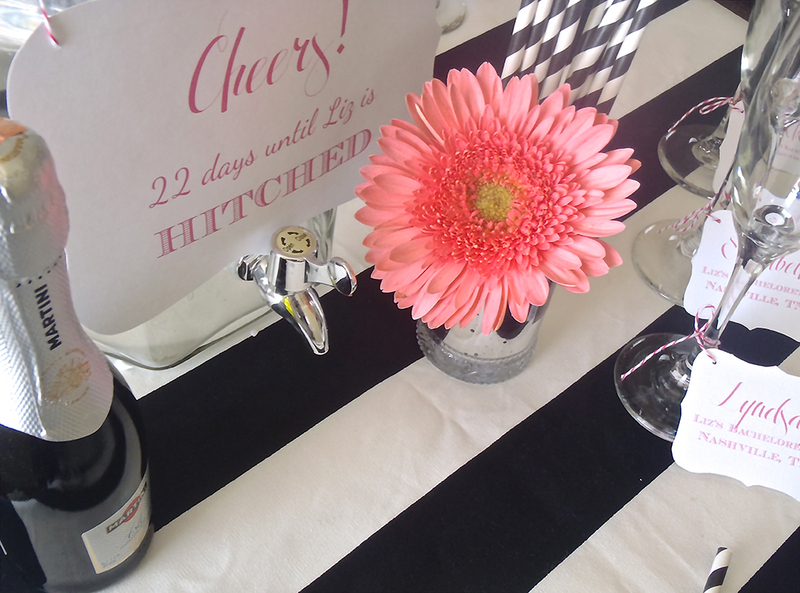 I brought the champagne glasses and drink dispenser so I had to make them extra special! Oh what fun! We laughed so hard, we cried! 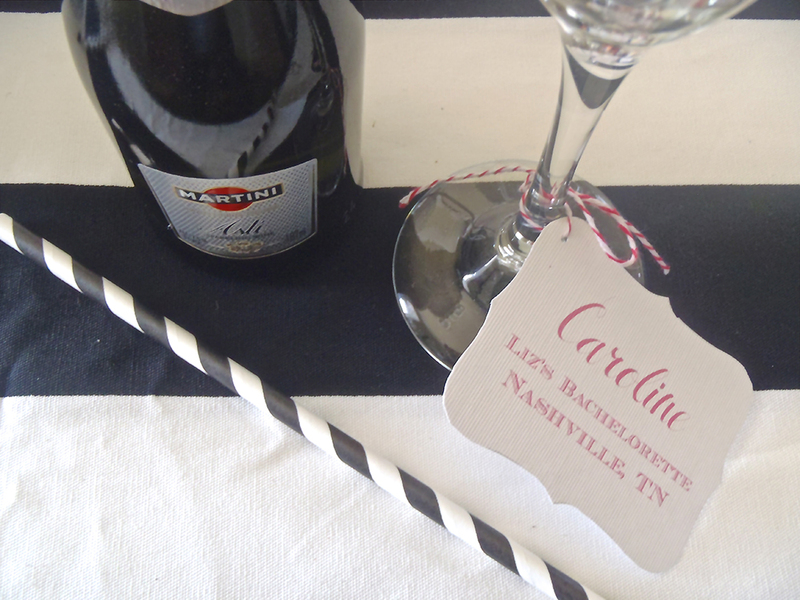 With such great company, we didn't need any cute "stuff" to make this a party but the tags were inexpensive and easy to do. I love little details like this for parties and showers.